If you live in a part of the country that receives a lot of winter storms or where there are often slippery driving conditions, then all-wheel-drive (AWD) vehicles may be just the solution for you. AWD vehicles are available in a variety of body types, including sedans, minivans and SUVs, so there are great options to fit just about every vehicle need and preference. When it comes to rating AWD vehicles, Subaru dominates the field, with three models ranked the best by multiple sources. Subaru has been manufacturing AWD vehicles for more than 40 years, and the company's claim that Subaru's symmetrical all-wheel drive is superior to other AWD systems is backed up by consistently high ratings for multiple models. Kiplinger rates the Subaru Impreza one of the top ten AWD vehicles in 2014, and the Insurance Institute for Highway Safety (IIHS) rates the Impreza the top safety pick in the small-car segment. 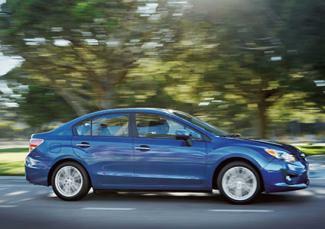 The Impreza offers an excellent value with a base MSRP of $17,895. Sedan and hatchback models are available. 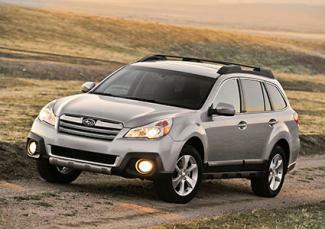 Autos.com reports that the Subaru Outback has consistently been rated one of the top AWD vehicles for more than ten years, and U.S. News and World Report ranks the 2014 Outback first in the wagons category. Increased ground clearance and better-quality tires on the 2014 model have improved the vehicle's ability to handle slippery roads, and the starting MSRP of $23,495 helped the Outback to be included among the ten best AWD values reported by Kiplinger. 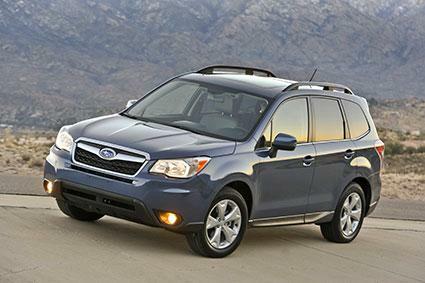 The 2014 Subaru Forester also receives high marks from several respected sources. U.S. News and World Report ranks it third in two categories: affordable compact SUVs and affordable crossover SUVs. 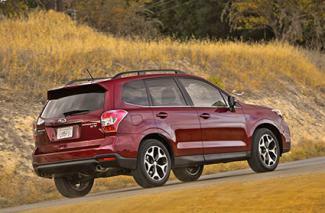 The Forester joins the Impreza in Auto.com's list of the best AWD vehicles, and the base MSRP of $21,705 makes the Forester an economical choice. If safety and the ability to haul lots of people or cargo are your main concerns in an AWD vehicle, the Toyota Sienna is a great choice. The National Highway Traffic Safety Administration awards this sturdy minivan a five-star rating in overall safety. According to Auto Trader, the Sienna's V6 engine is the best in the minivan category, and its fuel economy is excellent in comparison with other minivans. 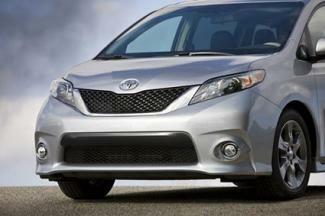 The Sienna is the only minivan that offers an AWD option, and it has a starting MSRP of $33,780. 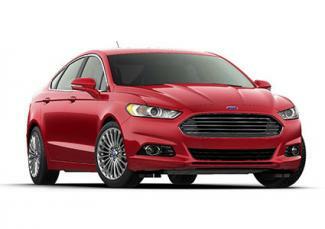 If you're looking for a domestic vehicle, you might consider the Ford Fusion AWD. This midsize sedan has been rated one of the best ten AWD vehicles by MSN Autos, and Autos.com considers it one of the best AWD vehicles on the market. The 2014 model comes with a six-speed automatic transmission and a base MSRP of $21,970. Those looking for a more opulent ride might want to spring for the Acura MDX. 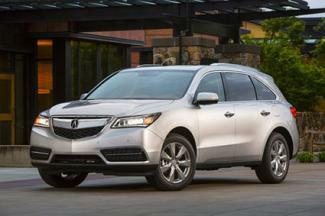 U.S. News and World Report ranks the 2014 MDX first place in the following three categories: luxury midsize SUVs, luxury SUVs with three rows, and luxury crossover SUVs. Autos.com rates it one of the best AWD vehicles available, and the IIHS rates the MDX a top safety pick in the midsize luxury SUV class. With a base MSRP of $44,290, the MDX may be pricier than some other AWD vehicles, but the decent fuel economy for its size, along with its solid record of reliability and safety, makes the MDX a popular choice. Car consumers often shy away from four-wheel-drive (4WD) vehicles if they are looking to get better gas mileage. However, many consumers don't realize that AWD vehicles offer a viable alternative to gas-hungry 4WD vehicles without sacrificing much in terms of gas mileage for additional safety and control in slippery conditions. Part-time 4WD - With a part-time 4WD system, the driver can manually switch between driving in two-wheel-drive (2WD) or 4WD. This system is intended only for slippery conditions. If drivers attempt to use 4WD on dry pavement, the transfer case will wear out and eventually fail. Full-time 4WD - For people who either enjoy extreme off-road driving or live in an area that often requires 4WD, the full-time 4WD option is a better solution. This is because the entire drive system is manufactured for 4WD operation, so it won't fail from operating in that mode. This is ideal for people who often need 4WD and don't want to deal with the hassle of constantly switching back and forth between 2WD and 4WD. AWD - There are several varieties of AWD systems, but what they all have in common is that they typically consume far less fuel than full-time 4WD vehicles. This is due to the fact that the car's computer system constantly adjusts the torque to each of the four wheels so that force is only applied to the wheels that actually need it at any given time. While AWD is not exactly 4WD, people tend to confuse the two. The biggest difference between the two is that when a vehicle is in 4WD mode, whether it's full-time or part-time, all four wheels receive the same level of power all of the time. AWD, on the other hand, is viewed by the car industry as an intelligent system where power supplied to the wheels is variable and controlled by the vehicle's computer system. Automatic On Demand (AOD) - The AOD system was one of the first generations of vehicles that split power between front and back wheels using a center differential. These systems would only apply torque to both axles when the primary set of wheels lost traction. However, when traction was fine, the second axle would get disconnected, saving fuel. True AWD - Most standard AWD vehicles, like the Subaru, go beyond just splitting torque between the front and rear axle but also apply specific levels of torque to each wheel as required. Intelligent AWD - The AWD system is considered "intelligent" if it takes into account a variety of variables from the car in determining how much torque to apply to each wheel. These variables include the car's speed, whether the wheels are slipping, and the current throttle. Super-Handling AWD (SH-AWD) - These systems are the most advanced drive systems and go beyond just applying torque levels based on traction and vehicle sensors. Instead, they also consider whether the vehicle is going around a curve in the road. The SH-AWD system is so advanced that it will turn the outside wheels faster in order to make cornering much easier. Typically, AWD vehicles are quite advanced when compared to standard 4WD vehicles. This advanced technology was primarily invented to help car owners have 4WD in slippery conditions while enjoying better fuel mileage during dry conditions. The technology has advanced, and fuel mileage is no longer the only concern. Today, automotive engineers are designing AWD to improve the overall handling of the vehicle during all driving conditions.